A long-legged Valkyrie? 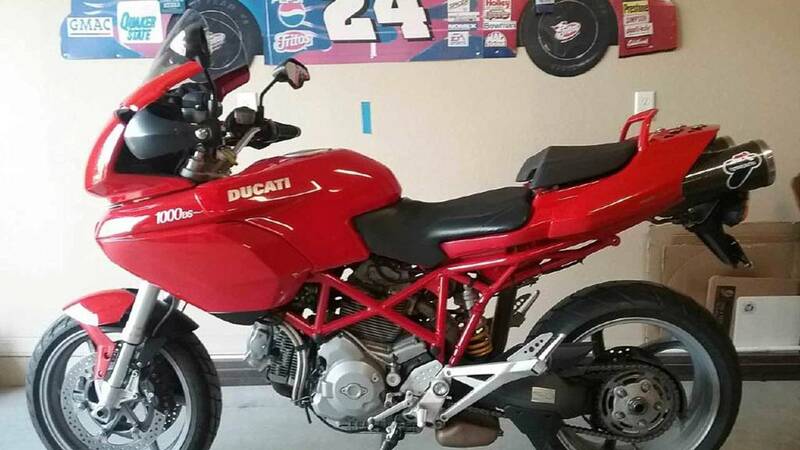 An affordable (fiery, passionate) Ducati sport tourer? 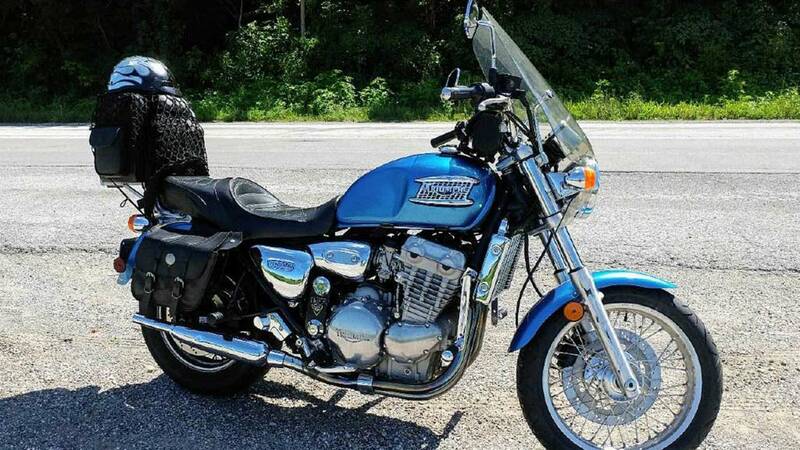 A Triumph all set for the open road? Find all these and more right here! The thing about “touring” bikes is that they can be whatever you want them to be. 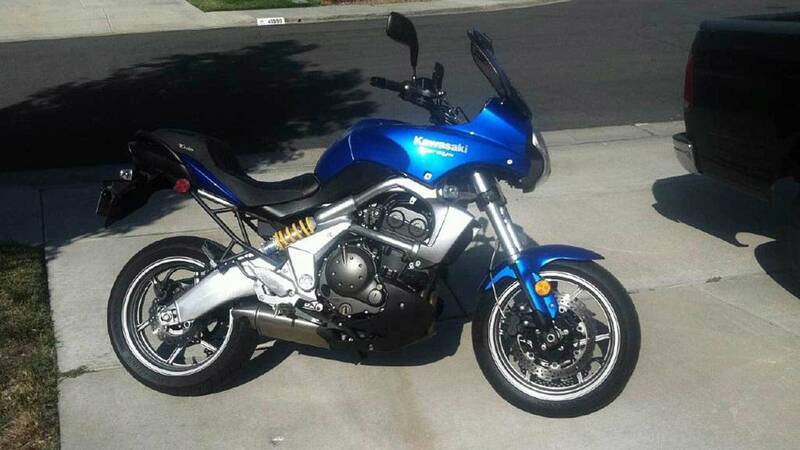 Want to travel from Quebec to California on an R6? Sure. Oregon to Ohio on a Done. Heck, Jamie Robinson kick-started MotoGeo with a trip from Long Island to Long Beach on a $200 1989 Kawasaki EX500 with 120,000 miles on the odometer and survived (barely). I digress, but you get my point. Ideally the “touring” category aims to make long journeys more pleasant by offering larger fuel tanks, cushier seats, adjustable pegs, a more upright stance, and the option to attach hard or soft cases for your gear. In this latest installation of 5 under 5 you’ll see a broad range of touring options to highlight just how versatile this category has become. The focus is less on specs and more on overall ride characteristics. As with all used purchases, its best to find a review (or two) to be aware of a bike's quirks and qualities. Rumors about models and manufacturers—good and bad—don’t always apply to the bike sitting in front of you. Ask many questions about both the ride and service history, and assume its been dropped. That’s okay. If you actually ride it, you will drop it too. This bike is the first in the line-up because it’s the youngest, and also because it is the most versatile. The Versys has great ground clearance for off-roading and is one of the lightest of the five bikes here, weighing in at only 454 pounds wet. Not the best ride for a pillion, but the driver’s leather after-market Corbin seat is nice and wide behind an MRA Varios adjustable windscreen. There are several other modifications but none (and that’s good news) on the dependable Kawasaki engine that will happily tour at 80 mph. With only 23,634 miles on the odometer, this stripped-down sport-tourer from California would be lots of fun. 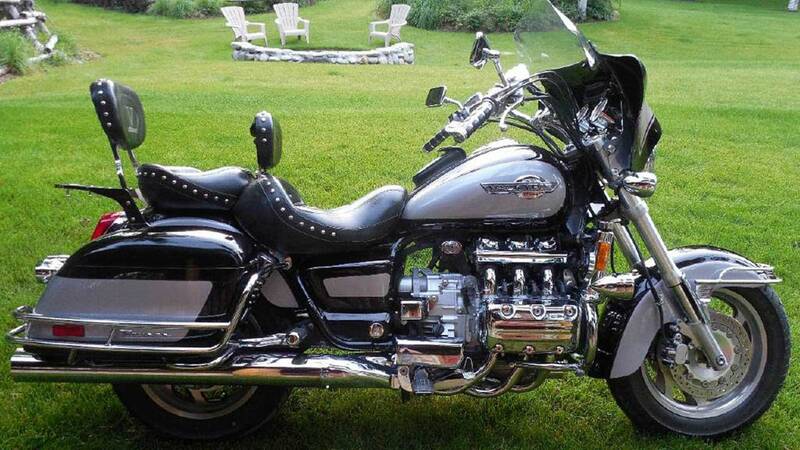 The pictures in the ad say it all: mountain vista, sweeping prairie, glowing sunset, sparkling sunset—all evidence that this Honda Valkyrie has been around, and not just solo. Look at that comfy pillion and back rest! Even the present owner, who has owned a wide range of bikes over his career, points out that his passenger was happiest on this set-up. 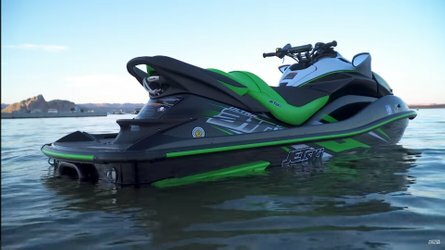 It’s heavy, it's strong, and the 1500cc engine has 100 hp on tap. With a 5.3 gallon tank, you'll have plenty of time to settle into the cozy seat and relax against the backrest. Included with the over $3000 of comfort and carry-on upgrades are all the stock parts as well. Every category needs a high-maintenance Italian, right? This Ducati Multistrada isn’t all costly service maintenance and impractical set-ups though. It has higher clearance than its strictly roadgoing counterparts, so although it’s calibrated for street riding it might survive an off-road re-route. Also, this nearly-naked sport-tourer is on the lighter side at 487 lbs wet. Oh yeah, and it goes fast. The torquey v-twin goes from zero to 131 mph in seconds. Plus, this Prescott Valley, AZ princess comes with plenty of extras including ABS, alarm system, after-market exhaust and luggage options, all for only $4250 USD, unless you have a KTM or Huskie you’d like to trade. Ok, fine. I picked this Triumph Thunderbird for its looks. Just like the listing says, I’m thinking that, as I make my merry way around the continent, people will take notice. It turns out that it’s not just a vanity project. The bike was popular during its run because it was strong, solid and dependable, and because of that it is easy to find extras to replace and refine components on this ride. The seller doesn’t spend much time describing how it rides, but other sources say the 4-stroke, three-cylinder, liquid-cooled engine delivers power and the front and rear suspension make for a comfortable ride that maneuvers well. If, like it’s present owner, you like to stop often to take pictures, you won’t mind the 4-gallon tank. Heated grips and heated seat?! I’ll take it!! No, but seriously. 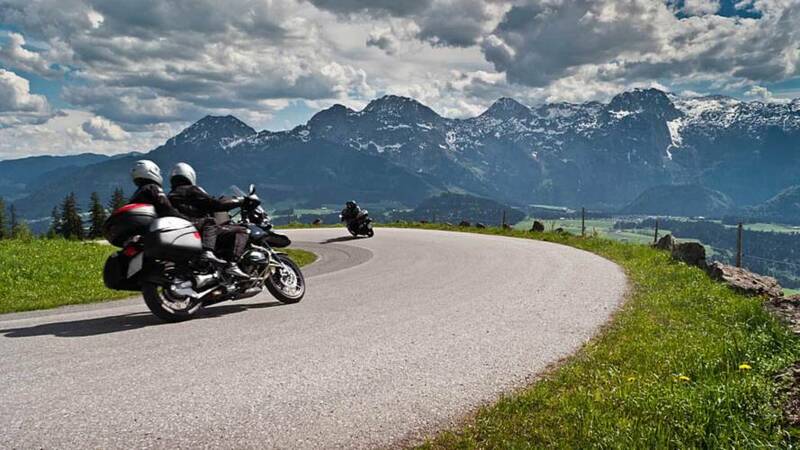 Aside from being famous for its rather expensive service interval bills, the BMW line of touring bikes comes with decades of 5-star ratings thanks to comfort, versatility, and dependability. It’s made to ride into the sunset and beyond. At 668lbs wet it’s on the heavier side, but the sportier stance makes it as much fun as the 1200cc sport bike that inspired its 103 hp, 6-speed, inline 4. 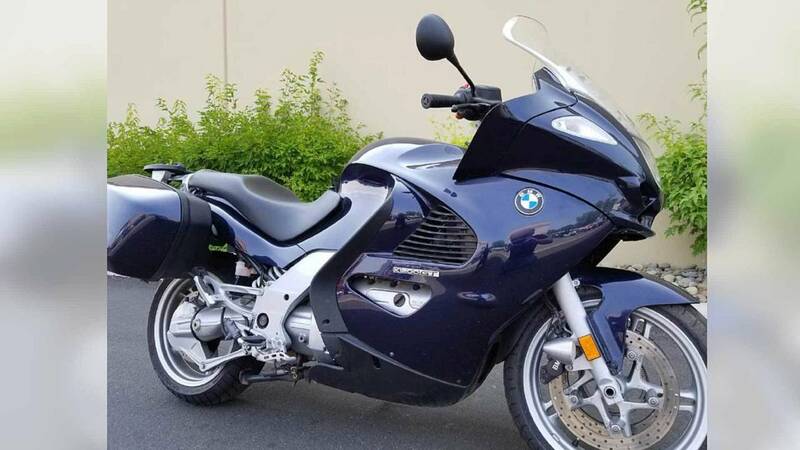 Fast and formidable, and at a modest 28,865 miles logged, this Beemer is ready to spend far more time conquering the open road.